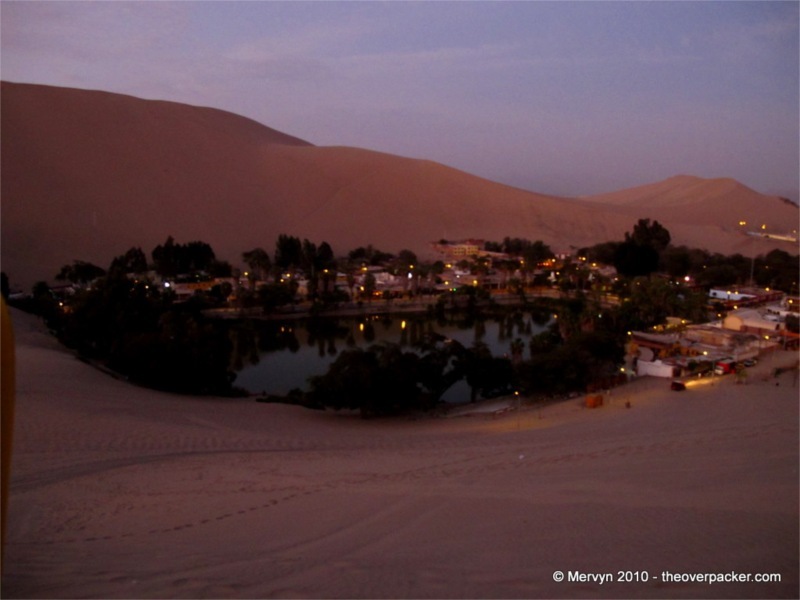 I came to Huacachina to sandboard. Last winter I didn’t go snowboarding. I won’t be snowboarding this season (in part because, down this side of the equator, it’s summer). This, then, is my warm weather desert fix. Racing across the sand in a dune buggy, it started to become clear, though, that this is going to be a bit different than cruising on snow. Before we set off, the guy who rented us our gear gave us each a white candle–wick and all. Before every run, we were supposed to rub candle wax over the whole bottom of our whole board. That was only the beginning. Dune buggys, it turns out, are a lot more exciting than chair lifts. 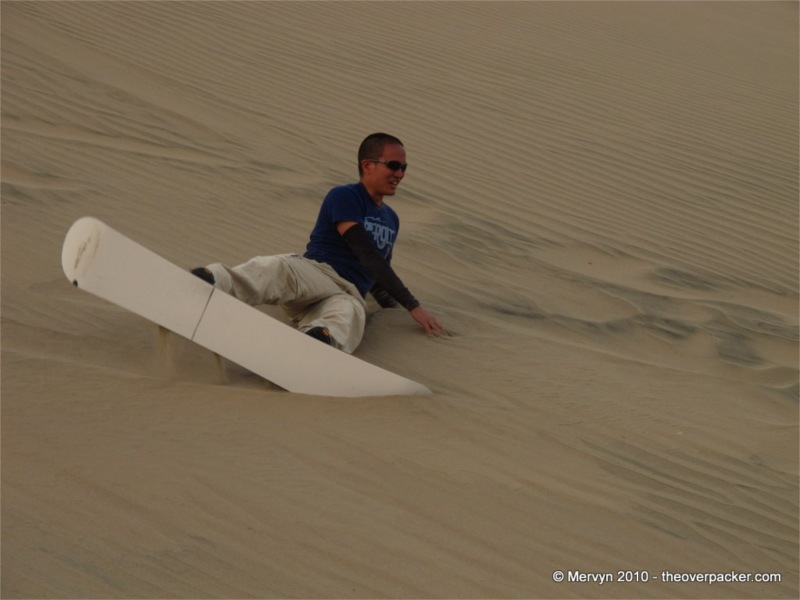 Instead of hanging from a wire chatting with your chilled seatmates, sandboarding gives you your own dune buggy driver racing over mountains of sand to get to your next drop in point. The buggy’s engine is so loud there’s no way to have a conversation. Even if you could, you wouldn’t want to because opening your mouth means you’ll be getting sand in it. · Sand is slower than snow. That’s why you have to wax the board every run—the sand rips all the wax off in the first few feet of your run. 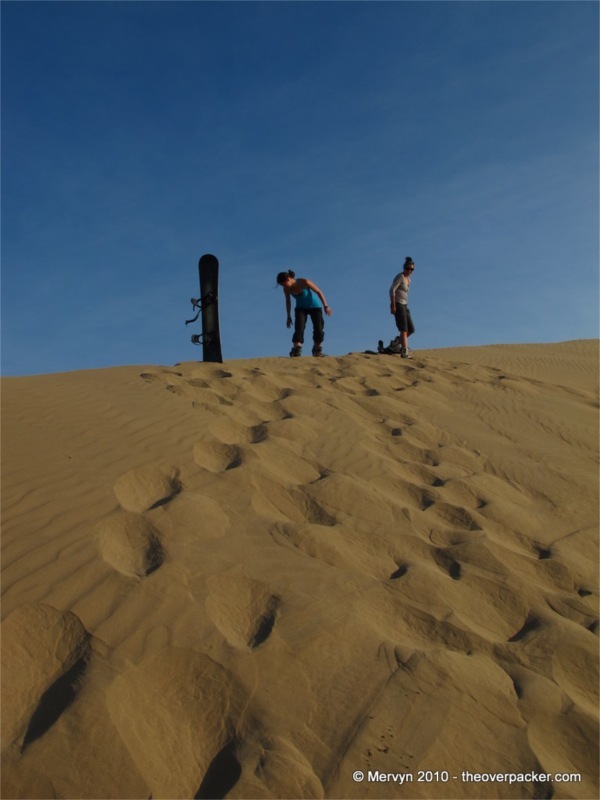 If you don’t have enough speed going by the time your wax is gone, you’re basically stuck standing on a piece of plastic on the side of a giant dune. This is so totally not eXtreme. In other words, grow a pair and point that tip straight down. Don’t try to carve too much. Just enjoy the ride and trust that you won’t die; you won’t (probably). 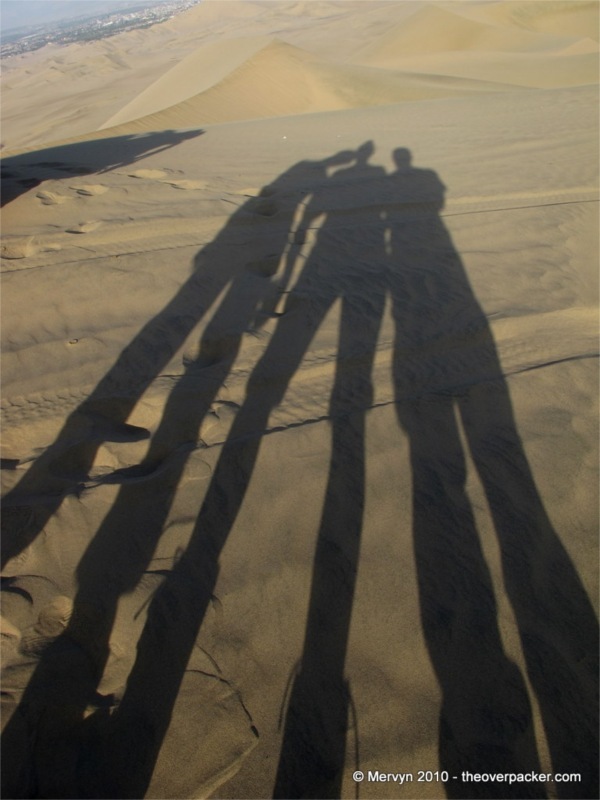 · It may be a desert, but that doesn’t mean it doesn’t get cold. Bring an extra layer or two. Thanks to Doug, a friend back home, I have a pair of arm warmers that I can slip on in a pinch. I ended up wearing them all afternoon. The desert really is a great spot for this sport. 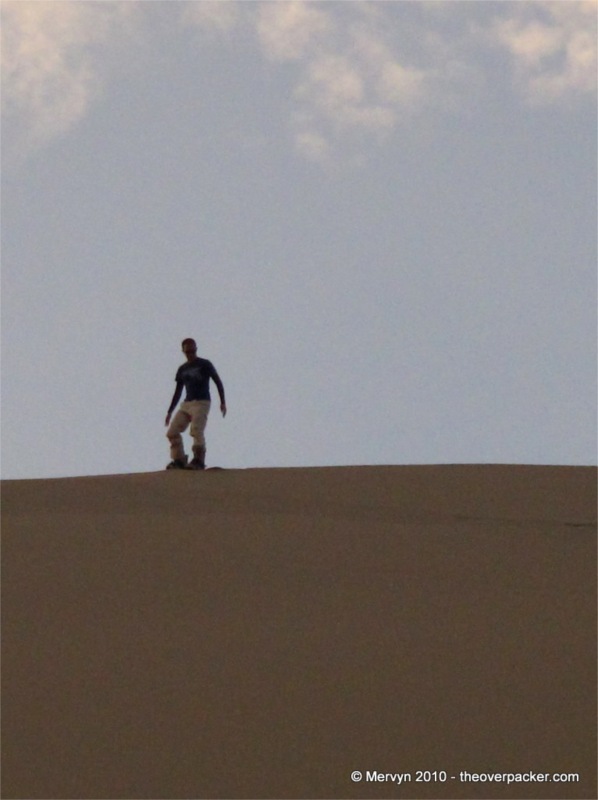 A few kilometers away is the largest known sand dune on earth. 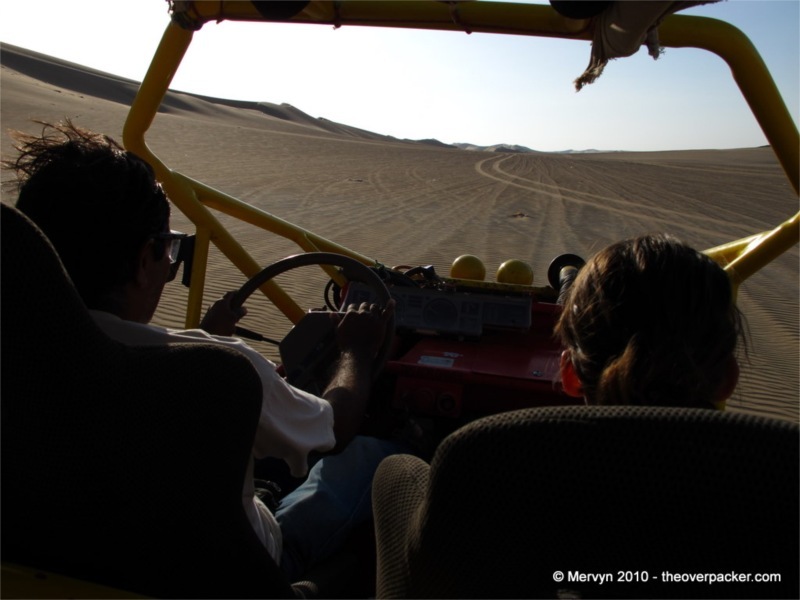 We would cruise down a dune, then hop in the buggy and race off to another boarding spot. By the time we’d finished our last run, my legs were more tired than they had a right to be. Watching the sunset atop one of the giants was actually a pleasant cap to the afternoon. I can’t say I got my fix, though. Now, more than anything, I want to go snowboarding for real. 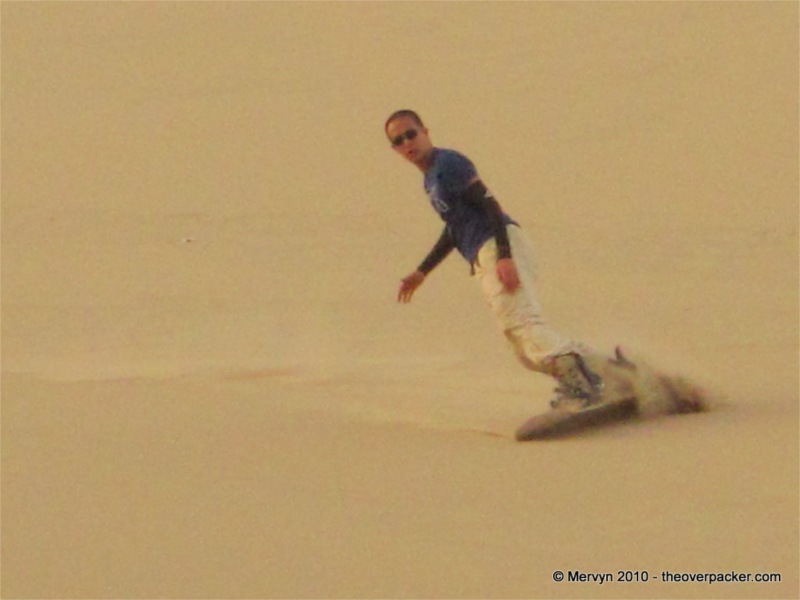 Sandboarding has turned out to be my extreme version of eating one potato chip—it’s just whet my appetite for a whole lot more. GALLERY: Click through to see more images of people in various states of sandboarding and of people soaking in the sunset.